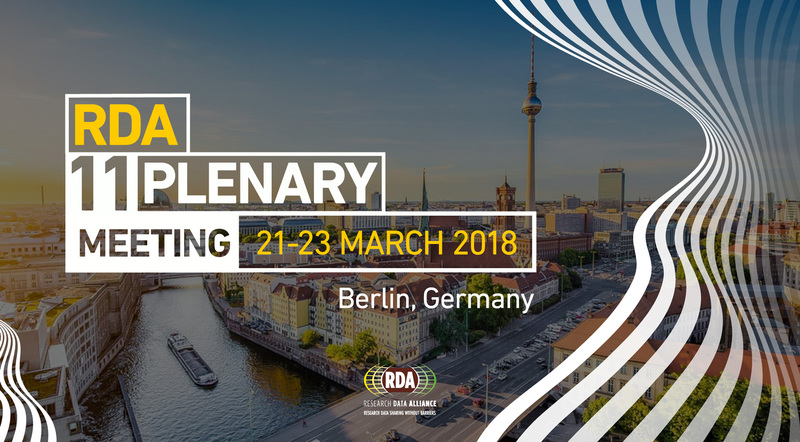 The 11th RDA Plenary Meeting took place from the 21st to the 23rd March 2018 in Berlin, Germany, with the theme being "From Data to Knowledge". ELIXIR PT was represented by two of its members. The participation had as main focus the participation in meetings of two work groups. The DMP Common Standards Work Group and the Work Group on Exposing Data Management Plans. Other ELIXIR members were also present in sessions such as the joing meeting on "IG ELIXIR Bridging Force, IG Biodiversity Data Integration, and WG BioSharing Registry: connecting data policies, standards & databases in life sciences" and "IG Agricultural Data (IGAD), IG Data Discovery Paradigms, IG ELIXIR Bridging Force, WG BioSharing Registry: connecting data policies, standards & databases in life sciences, IG Repository Platforms for Research Data"